The opera singer Carlo Broschi – better known by his stage name of Farinelli – was born on this day in 1705 in the city of Andria in what is now Apulia. 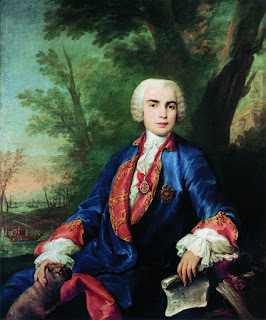 Farinelli was a castrato, a type of classical male singing voice that was enormously popular from the 16th to the 18th century, one which had an enormous range and flexibility, a little like a female soprano but subtly different. It was achieved through the somewhat barbaric practice of castrating a male singer before puberty, which is why there are no castrati today. Among other things, the procedure caused changes in the development of the larynx, meaning the voice effectively never breaks, and of the bones, including the ribs, which grew longer than in non-castrated boys and gave the castrato singer considerably enhanced lung power and capacity. Although many survived and, like Farinelli, went on to enjoy a normal lifespan, the practice was hugely risky and there were many deaths not only from post-operative infections but also from overdoses of opium or other narcotic drugs administered as painkillers, or else from the compression of the carotid artery in the neck employed as a means of rendering the boy unconscious. During the early part of the 18th century, when castrato singers were in demand and could earn a considerable income, many poor families had their sons castrated in the hope that they would turn out to have beautiful voices that would provide the family with a route out of poverty. Legally, a castration could be carried out only if there was a medical need, but tenuous reasons were often accepted with little argument. Farinelli’s story was somewhat different. 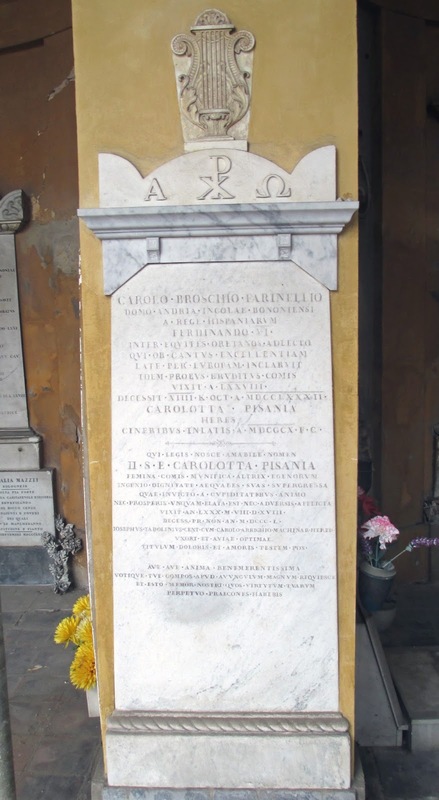 His father, Salvatore Broschi, was a composer and maestro di cappella at Andria’s cathedral, and both he and Carlo’s mother, Caterina Barrese, were related to nobility. They were a well-to-do family. Carlo had natural singing talent and, after the family had moved from Barletta, a coastal town not far from Andria, to Naples, primarily so his brother, Riccardo, could enroll at the Conservatory of Santa Maria di Loreto, he began to receive lessons from the renowned composer and voice teacher, Nicola Porpora. There are differing versions of how he came to be castrated. One is that, after Salvatore Broschi died unexpectedly at the age of just 36 in 1717, the family suddenly faced financial insecurity and, knowing that Porpora was an especially gifted coach of castrati voices, Riccardo took the decision that Carlo should be castrated. But this is disputed by some historians, who argue that at 12 years old he was too old for the procedure to have saved his voice and that he probably underwent it earlier, while his father was alive. Whatever the truth was, Carlo Broschi’s singing talent developed rapidly under Porpora’s tutelage and he made his stage debut at the age of 15 in one of Porpora’s own compositions, a serenata entitled Angelica e Medoro, with a libretto by the poet Pietro Trapassi, who would go on to be famous in his own right under the name of Metastasio. It is thought Broschi adopted Farinelli as his stage name as a nod to the help provided for the family in paying for his singing lessons by the Farino brothers, who were wealthy Neapolitan lawyers and music lovers. 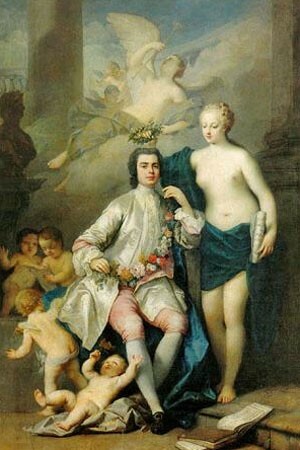 Farinelli’s extraordinary voice, described by one critic as “a penetrating, full, rich, bright and well-modulated soprano voice, with a range from the A below middle C to the D two octaves above middle C”, soon made him famous across Italy and beyond. After making his Rome debut in 1722, he sang in Vienna in 1724, then Parma and Milan in 1726, subsequently performing in Munich and again in Vienna. In 1729, he was engaged to perform in two works by Metastasio during the carnival season in Venice, appearing at the Teatro San Giovanni Grisostomo alongside some of the greatest singers of his time. Audiences were large and appreciative. In addition to his handsome appearance fees, Farinelli was regularly showered with lavish gifts and acquired a wealth to go with his fame. In 1734, he moved to London, where he was signed up by Senesino, an Italian contralto-castrato who had formed his own company, the Opera of the Nobility, performing at a theatre in Lincoln’s Inn Fields, with Porpora as a composer. The company paid Farinelli £1,500 per season – an enormous salary for the times and possibly swelled to £5,000 with gifts – although the sum was not sustainable in the long run and by the end of his time in London he was performing for much more modest fees. When Farinelli left London in 1737, his career took a turn that removed him from the public arena for good but assured his financial security. Summoned to Madrid by the Spanish queen, Elisabetta Farnese, in the hope that his voice might help lift her husband King Philip V, out of his depression, he was offered the position of Chamber Musician to the King. He kept that position for 22 years, performing private concerts nightly for the royal couple and developing a still closer relationship with their successors, King Ferdinand VI and his wife, Barbara of Portugal, with whom he sang duets. With a generous pension guaranteed, he left Spain in 1759 after Ferdinand was succeeded by Charles III, who was no music lover. He retired to Bologna, where he had owned property since 1732, and died there in 1782, by then a rather lonely figure who had outlived most of his contemporaries. 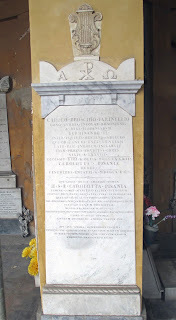 He was buried at the Capuchin monastery of Santa Croce in Bologna and removed to the Certosa cemetery in Bologna after the monastery was destroyed during the Napoleonic wars. 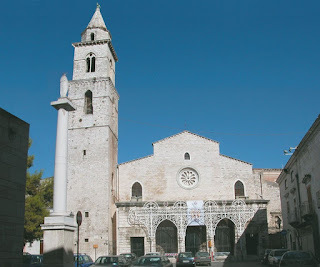 Andria, where Farinelli was born, is a city well off the usual visitor trail yet is a substantial place with a population of more than 100,000, the fourth largest municipality of the Apulia region, an important centre of the agricultural service industry and a producer of wine, olives and almonds. Situated some 60km (37 miles) northwest of the port of Bari, it is about 210km (130 miles) almost due east of Naples across the peninsula. The centre of the city is Piazza Catuma and a short distance away is Piazza Duomo, the site of a 12th century cathedral. 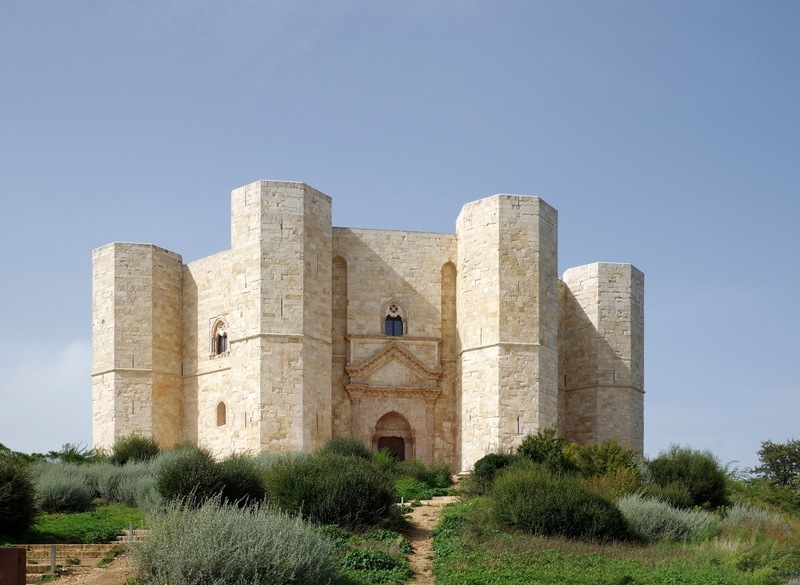 About 15km (10 miles) south of the city is the impressively well preserved 13th century Castel del Monte, built by the Emperor Frederick II, who was particularly fond of the area. Like Andria, the nearby coastal city of Barletta, where Farinelli grew up, is not a well known destination among tourists, with those who do visit the area tending to gravitate towards Trani, the attractive fishing port a few kilometres south. 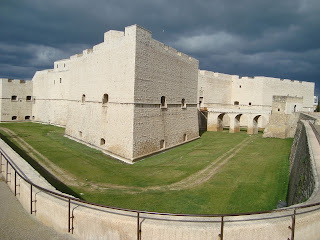 Yet Barletta is known for its sandy beaches to the north and south of the city and its reputation as a centre for concrete and cement production should not put off would-be visitors, who will find an attractive and historic old town and an impressive Norman castle of the traditional motte and bailey structure that was built in the 10th century, when it served as a hostel for soldiers heading for the Holy Land during the crusades.